Triple the candles, triple the beauty – that’s our motto (well, for this gorgeous piece, at least.) 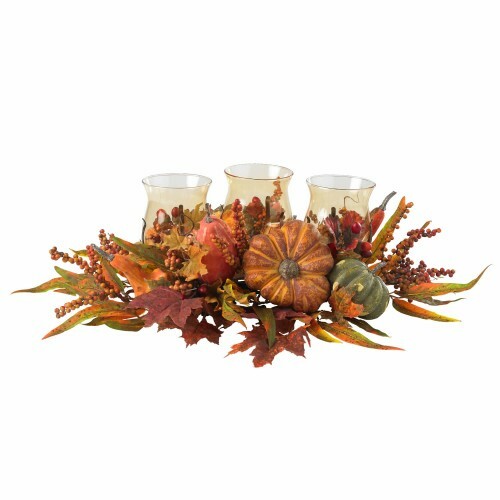 But really, just take a look at it – three beautiful candleholders lovingly nestled into a bevy of Autumn fruits, berries, and foliage. It’s the perfect accessory for any holiday décor, from a dinner table to a bookshelf to a warm hearth. Also makes a thoughtful gift that will be welcomed in any home. 22" x 13.25" x 10"